Museum quality print on 11X17" ivory colored parchment paper can be purchased for $40.00 (Parcel Post shipping included). Parchments are available for over 1,000,000 surnames of European origin. The $40.00 is refundable when a piece of RAMPANT LION COLLECTIONS® signet jewelry is purchased. Museum quality print on 11X17" ivory colored parchment paper can be purchased for $40.00 (Parcel Post shipping included). 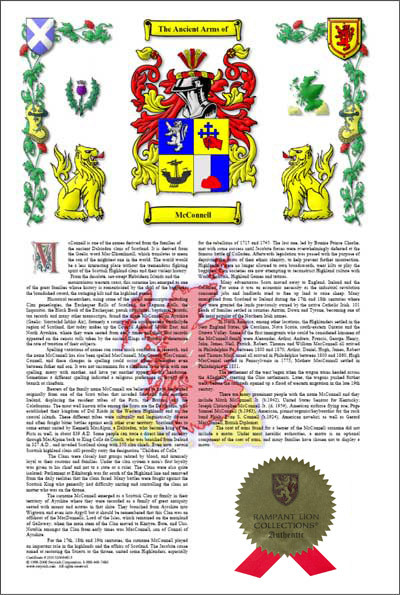 Parchments are available for over 35,000 Scottish surnames. The $40.00 is refundable when a piece of RAMPANT LION COLLECTIONS® signet jewelry is purchased. 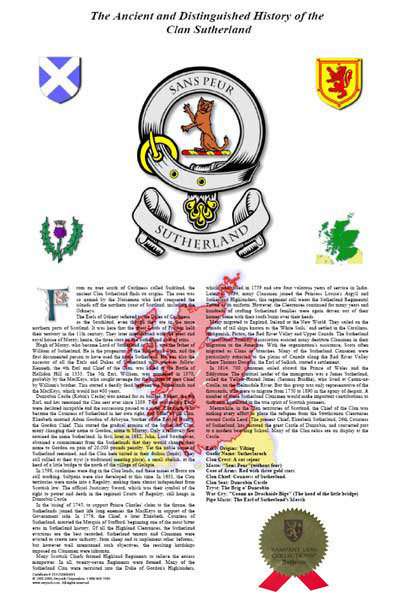 Source materials used to research family coats of arms and surname histories have been selected for their reliability and authenticity. 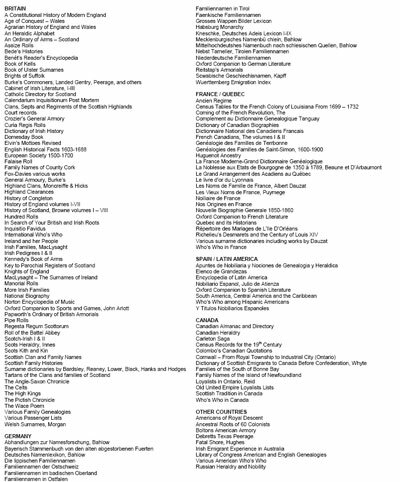 The following reference materials are merely examples of some of the research documentation found in our library. Exaggerated and fictionalized information has been excluded, and any information that can be attributed to legend or folklore is clearly stated as such. In general, events and people are only cited if supporting evidence is available. Motto Translation: Virtue not changed. Crest: Leopard's head representing those brave and generous warriors who have performed some bold enterprise with force, courage, promptitude and activity. Shield: Fleur-de-lis, a stylized version of the "flower of the lily" signifying purity, light and life. Symbolizes generosity and elevation of the mind. Signifies serenity, peace and a nobility of purpose. RAMPANT LION COLLECTIONS® hand-crafted signet rings only!